Arbiter of Japanese fashion and a maestro at mixing disparate influences into his personal style, Kogi “Poggy” Motofumi has become an international authority in menswear for his novel, tongue-in-cheek aesthetic. 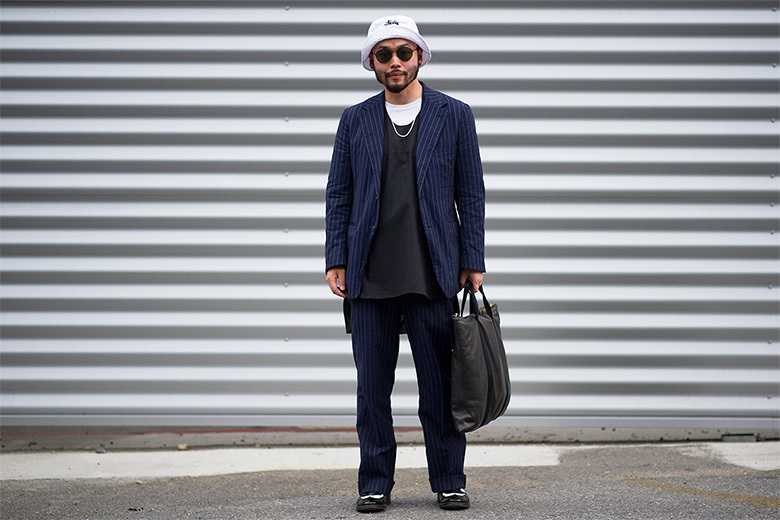 Deftly deciding the direction of prominent Japanese brand UNITED ARROWS & SONS as its creative director, Poggy has used his position to help secure a name for both himself and the brand worldwide, making regular appearances at major fashion events the world over. Aiming not only to showcase global brands to the perceptive Japanese consumer through UNITED ARROWS & SONS, but also serving as a window into the cultural trends of other fashion markets in what can sometimes be a myopic domestic market, Poggy’s say in the general fashion consciousness in Japan is not to be underestimated. With the opening of the UNITED ARROWS & SONS space in the UNITED ARROWS Taipei store, it became a little easier to have a taste of Poggy’s eclectic taste outside of Japan in 2014.